IGN FI participated in the seminar organised by the French Embassy on urban development. The event was held in Nairobi on 9 and 10 July 2018. East Africa, apart from Djibouti or Mauritius, is one of the least urbanized regions in the world. The average urbanization rate was only 25% in 2015, compared to 38% for sub-Saharan Africa as a whole. 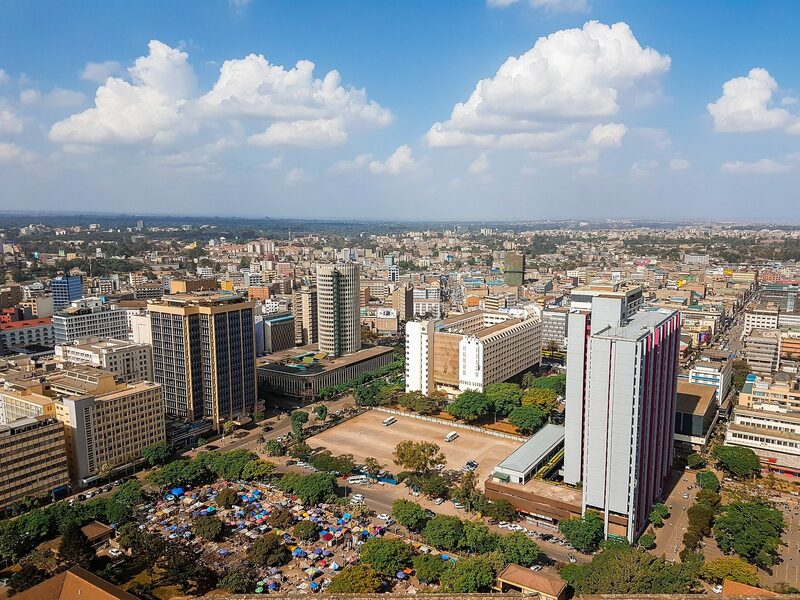 In 2015, the region had 17 cities with more than 500,000 inhabitants, including nine millionaire cities and four exceeding 4 M inhabitants (Dar-es-Salam, Khartoum, Addis Ababa and Nairobi). By 2030, urbanization growth will be sustained, although the region is expected to remain below African averages. In 2030, it should have 32 cities with more than 500,000 inhabitants, including 15 million, 4 cities with more than 5 million inhabitants and one city with more than 10 million inhabitants (Dar-Es-Salam). In absolute terms, urban population growth rates in the region will be among the highest in the world by 2050. While the urban population growth rate is expected to average 3.8% per year in sub-Saharan Africa, it is expected to average 7.2% per year in East Africa, with very strong growth in Burundi, Rwanda, Tanzania, Uganda and to a lesser extent Kenya, Ethiopia and Sudan. The size of the region’s cities would thus double by 2030 and quadruple by 2050, corresponding to an increase in urban populations of 52 million inhabitants in Tanzania, 51 million in Ethiopia, 31 million in Kenya, 27 million in Uganda and 25 million in Sudan. On the occasion of this event, IGN FI presented the land project for the national deployment of a land information system which is currently underway in Uganda. The establishment of a LIS in a country helps to reduce the risk of fraud, loss or falsification of documents. Through the reliability of the information it contains, it becomes possible to detect land conflicts upstream and to limit recourse to long and costly arbitrations. Finally, it improves the quality of the services that a country’s land administration provides to its users. The high costs, the high risks of falsified land documents and the long delays linked to land transactions contribute to the poor functioning of urban land markets and constitute a major obstacle to any urban development project.